Did you know that Danish Oil is actually a blend of natural oils and resins and that every producer of Danish Oil has their own unique blend, meaning that no two are the same? 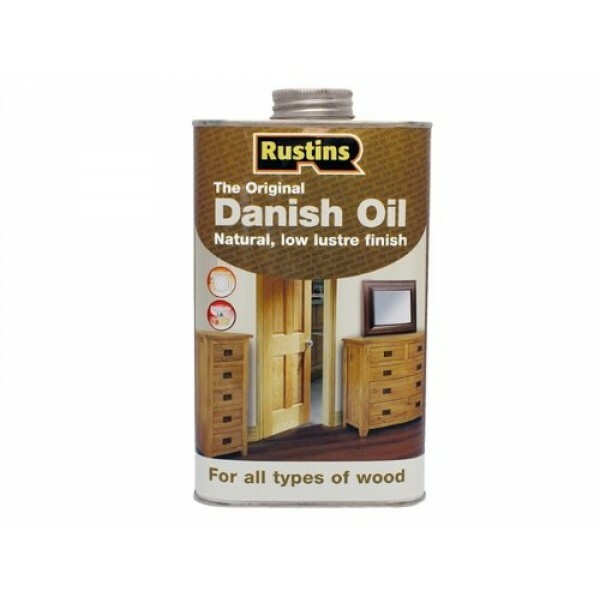 Although Danish Oil is a product that almost everyone has heard about with literally dozens of companies if not more producing their own blend, Rustins Danish Oil is the original. Always do a test area to confirm performance and compatibility before starting any project and follow the manufacturer's instructions on the container at all times. Stir / shake well before use or product will dry to a gloss finish. New or bare wood should be oiled 3 times initially. Exterior wood requires a minimum of 3 coats applied liberally and not wiped off. To improve the penetration and durability dilute the first coat 20% with white spirit. If applying Danish Oil to veneered doors, it is advisable to check with the door manufacturer before proceeding. Rustins Danish Oil can be periodically re-oiled if the surface becomes tired looking, dry or scuffed. Wipe surfaces before re-oiling with a lint-free cloth or rag slightly dampened with White Spirit.